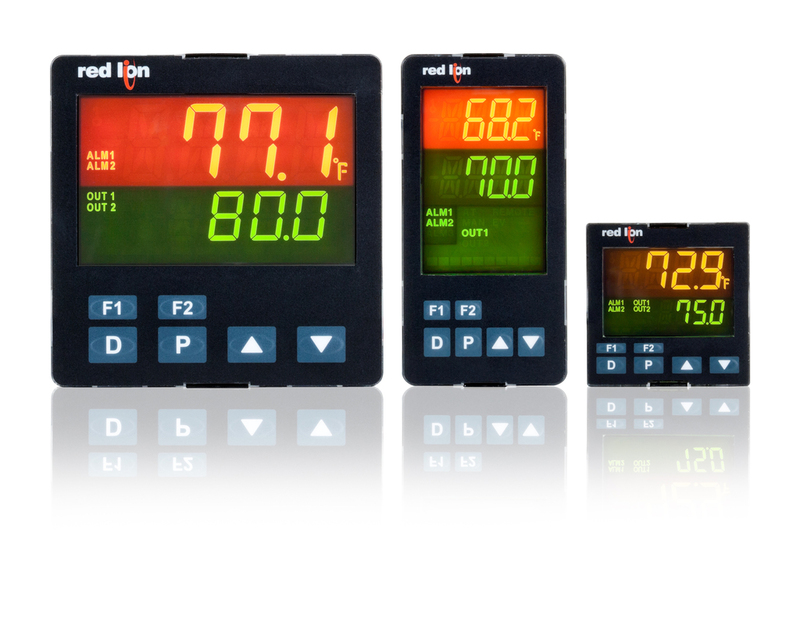 New from Red Lion Controls, the PXU series of proportional-integral-derivative (PID) controller is designed for machine builders, systems integrators and commercial equipment manufacturers. The PXU series enables tighter, more reliable control over a wide range of processes, including temperature, flow and pressure, from a single model. Suitable for precision process applications within the food and beverage, plastics, packaging, energy, gas, heat-treating, commercial and medical industries, the PXU series offers 1/16, 1/8 and 1/4 DIN size models to provide a range of space-saving options. An enhanced bezel design with larger, easy-to-read displays enables better visibility from long distances, while optional RS-485 communications allows integration with PCs, PLCs and HMIs. The series is programmable via front panel push buttons and/or Red Lion’s Crimson configuration software and features on demand auto-tuning for easy set up.